Senior Attorney Advisor Americans with Disabilities Act Division Office of Legal Counsel Sharon Rennert is the senior member of the EEOC's ADA Division staff, having joined the Division in January 1992. During 2003, she served as Acting Director of the ADA Division. Ms. Rennert develops the Commission's policy interpretations of the ADA, and has worked on every ADA policy guidance issued by the Commission. She also has worked on many of the Commission's ADA technical assistance documents, including drafting fact sheets on telework as a reasonable accommodation and the ADA's application to job seekers. Ms. Rennert was the key drafter of the EEOC's guidance on reasonable accommodation and offers particular expertise on this central requirement of the ADA. She also specializes in providing employers with practical approaches to ADA compliance. Ms. Rennert regularly consults with EEOC investigators and attorneys on ADA charges and litigation. In addition, she works with EEOC federal sector staff and Administrative Judges on Rehabilitation Act complaints. Ms. Rennert has written and delivered several ADA training programs for EEOC staff, in addition to conducting numerous seminars and workshops for attorneys, human resources professionals, risk management personnel, and persons with disabilities. From 1988 to 1991, Ms. Rennert served as Associate Staff Director of the American Bar Association's Commission on Mental and Physical Disability Law. She directed projects on HIV-related legal issues, developing a model HIV/AIDS confidentiality policy for service providers. Before joining the ABA, Ms. Rennert was Assistant Director of Government Liaison for the Epilepsy Foundation of America, concentrating on disability rights issues. Ms. Rennert received her law degree, with honors, from New York University School of Law, where she was a member of the Order of the Coif. She also received an award for outstanding student law review article for "All Aboard: Accessible Public Transportation for Disabled Persons." Ms. Rennert received her B.A. degree, with highest honors, from the University of California/Berkeley. 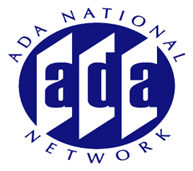 12/18/2012 - ADA and GINA: Understanding the Rules When Employers Request Medical or Genetic Information? 06/19/2007 - Performance vs. Disability: What is the difference? 07/20/2004 - ADA Update: 14 Years Later.